Hello everyone! March is almost over, but before it ends I wanted to go over some basic awareness for Multiple Myeloma. 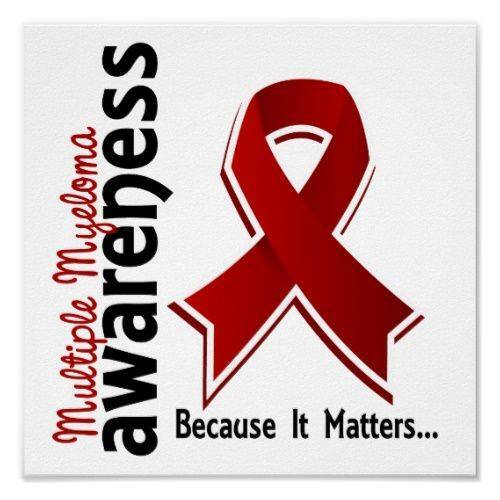 March is also Multiple Myeloma awareness month. 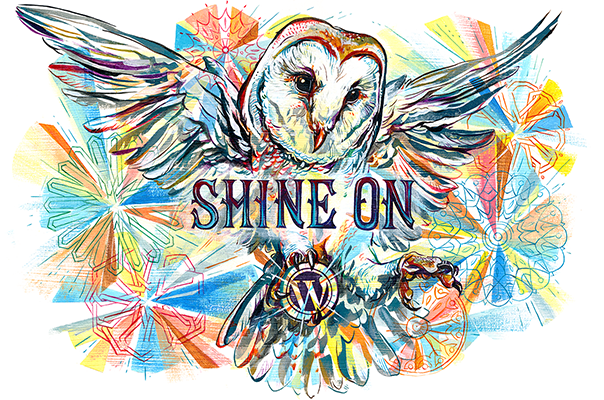 Did you know that Multiple Myeloma is the 2nd most common blood cancer in the United States? Most people are diagnosed after the age of 65 and it is very rare in people under 35 years of age. More males than females get this cancer. If you have a family history of this disease then you are at a more increased risk. 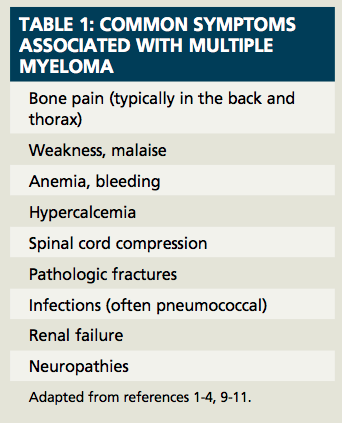 Below is a list of signs of Multiple Myeloma. If you have these symptoms, please see your doctor to get tested. Lost my best friend to this mean beast. She was heroic and fearless trying to face it down. But it was relentless. It is a horrible disease to have to endure. I am sorry to hear about your best friend’s passing.